This home sits at the top of a hill with a backyard that had a steep slope. 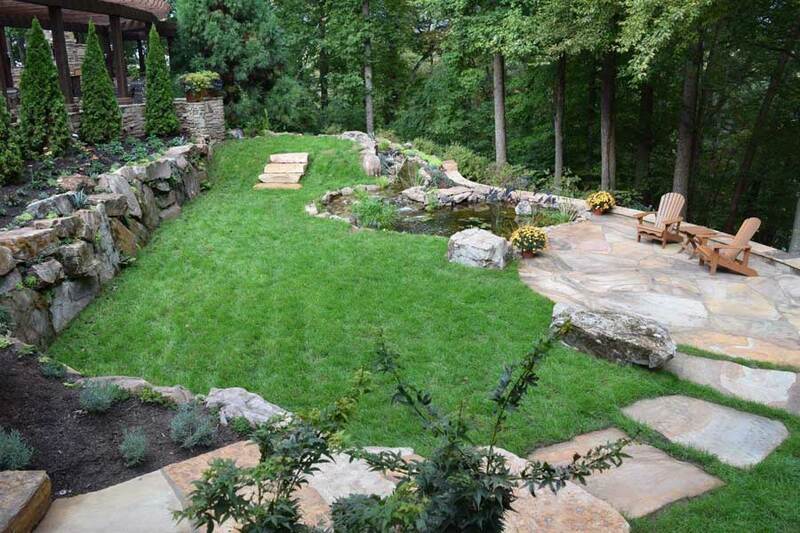 Our challenge was to create a comfortable leveled backyard space the family could enjoy safely. The homeowners had a vision of a level and lush green lawn that offered comfortable seating and privacy. While the space isn’t what most would consider large, the living boulder wall lined with an array of sedums and sempervivens sure makes it feel that way. 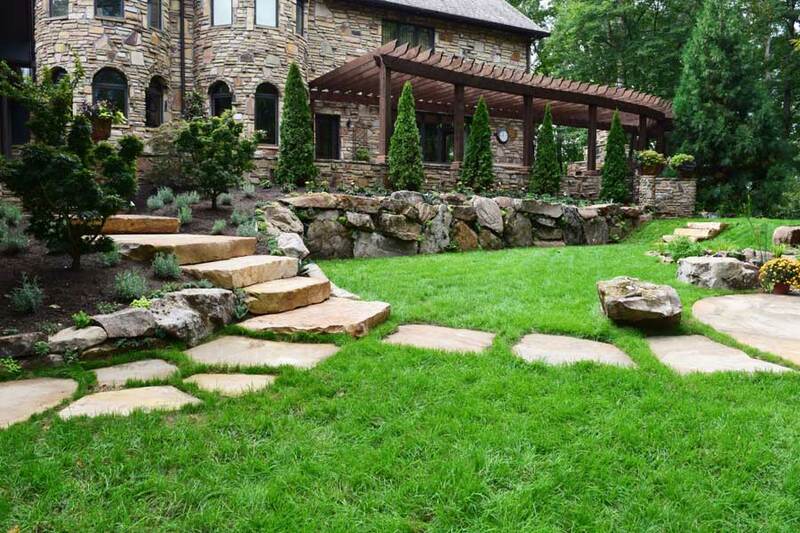 In order to create a space that this family could enjoy, we leveled the steep backyard to create an even and welcoming space to enjoy. 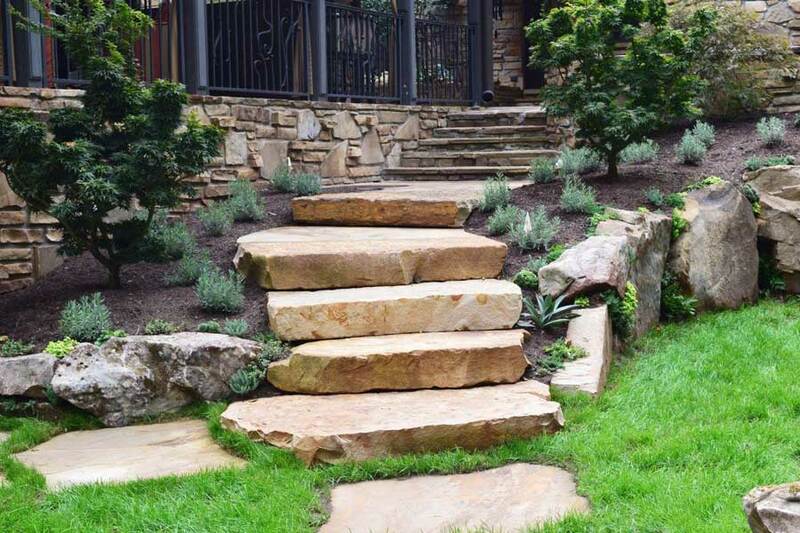 We added custom stone stairs to each end of the terrace for easy access, along with a flagstone patio next to the koi fish pond. 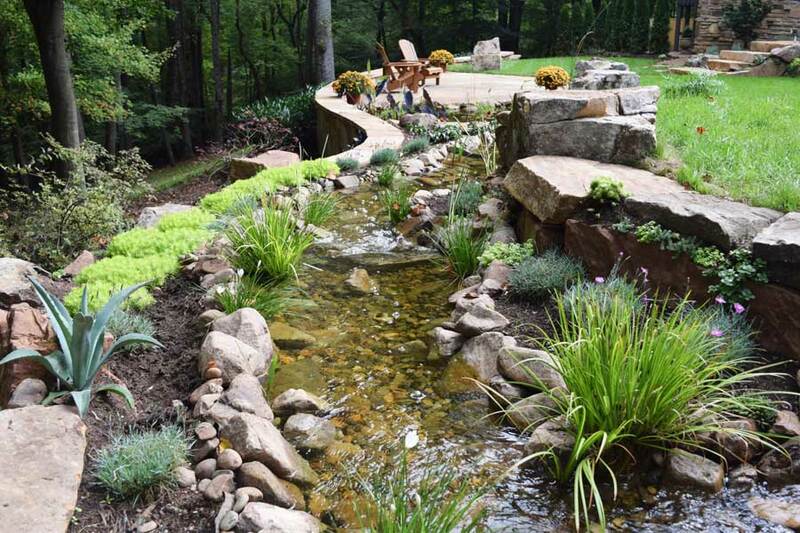 See more of our water features. With 80 feet of stream that meanders into a pond complete with water lilies and Japanese Koi, this is now the perfect place to sit and listen to the beautiful sounds of nature. 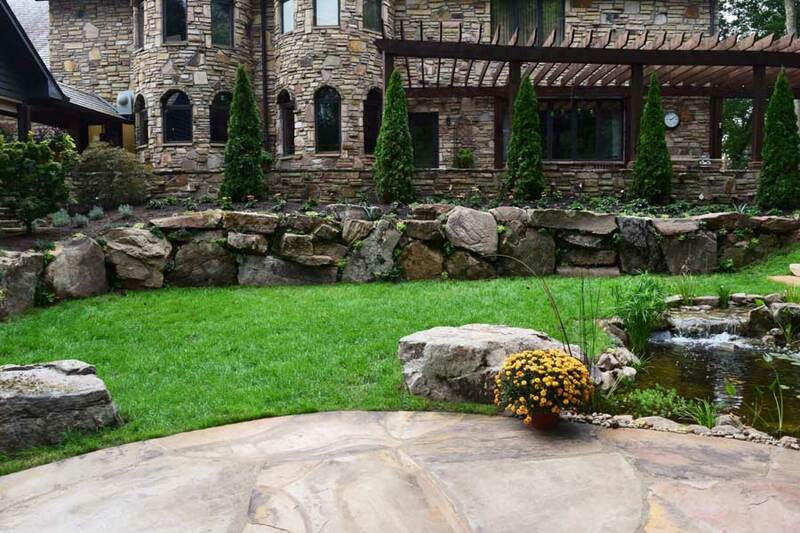 A specific vision the customer had was for a “living” boulder wall that contained a spectacular array of sedums and boxwood sempervirens. The final stage was an extensive ornamental landscape, including rare Japanese Maples and lavish perennial gardens that create an extensive display of color throughout all four seasons of the year.